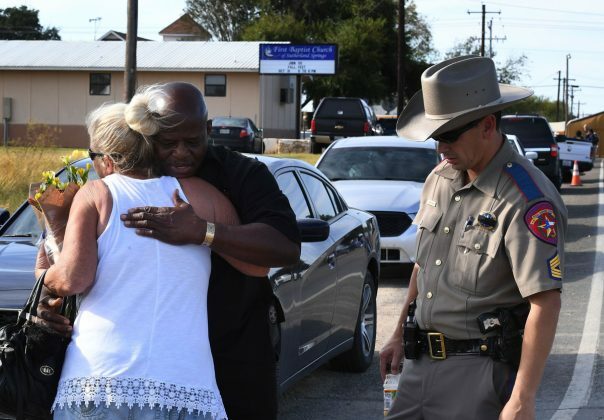 The gunman who killed 26 people at a small-town Texas church had a history of domestic violence and sent threatening text messages to his mother-in-law, a member of First Baptist, before the attack in which he fired at least 450 rounds at helpless worshippers, authorities said Monday. A day after the deadliest mass shooting in state history, the military acknowledged that it did not submit the shooter’s criminal history to the FBI, as required by the Pentagon. If his past offenses had been properly shared, they would have prevented him from buying a gun. tefanek said the service is launching a review of its handling of the case and taking a comprehensive look at its databases to ensure other cases have been reported correctly. 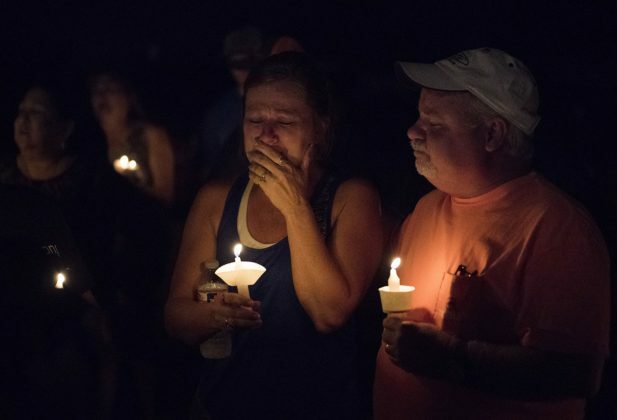 Once the shooting started, there was probably “no way” for congregants to escape, Wilson County Sheriff Joe D. Tackitt Jr. said. About 20 other people were wounded. Ten of them were still hospitalized Monday in critical condition. 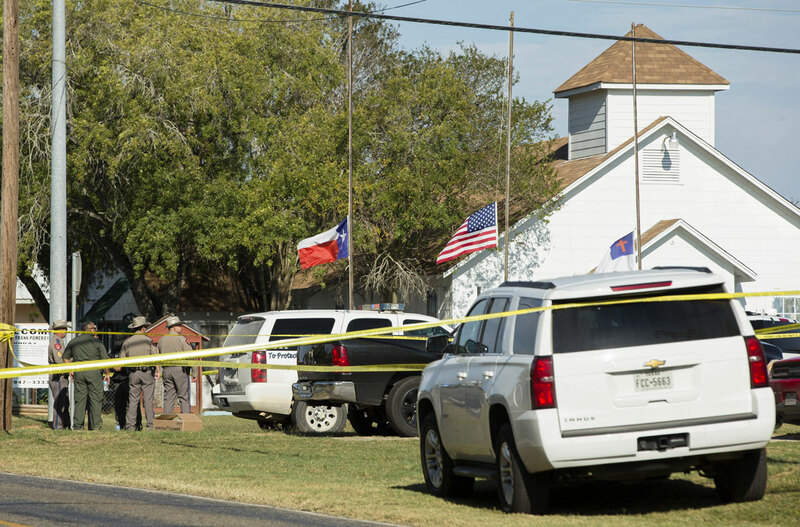 Kelley lived in New Braunfels, about 35 miles (56 kilometers) north of the church, authorities said. Investigators were reviewing social media posts he made in the days before the attack, including one that appeared to show an AR-15 semi-automatic weapon. 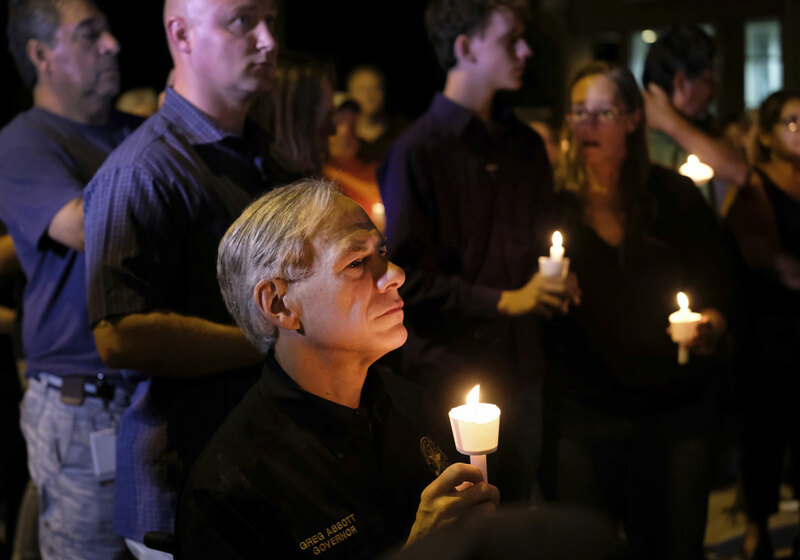 On Sunday, the attacker pulled into a gas station across from the church, about 30 miles (48.28 kilometers) southeast of San Antonio. He crossed the street and started firing the rifle at the church, then continued firing after entering the white wood-frame building, Martin said. The pursuit reached speeds up to 90 (144 kph) mph. The gunman eventually lost control of his vehicle and crashed. The armed man walked up to the vehicle with his gun drawn, and the attacker did not move. Police arrived about five minutes later, Langendorff said. 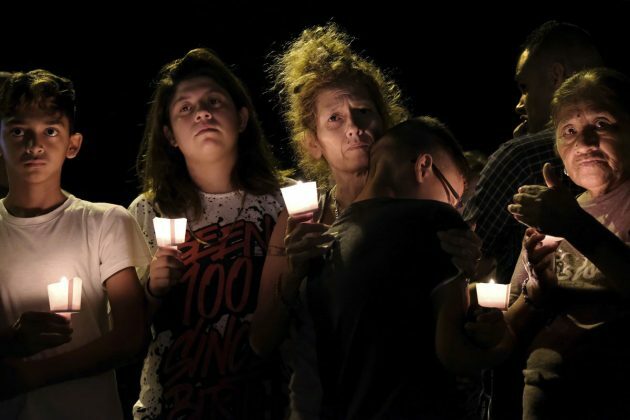 A man dressed in black tactical-style gear and armed with an assault rifle opened fire inside a church in a small South Texas community on Sunday, killing 26 people and wounding at least 16 others in what the governor called the deadliest mass shooting in the state’s history. The dead ranged in age from 5 to 72 years old. Complete coverage of the Mass Shooting at a First Baptist Church in Sutherland Springs, San Antonio, Texas. More than 20 dead, many more injured.